WPB Filterable Portfolio WordPress plugin comes with a powerful setting panel. It has all the required settings that you need to customize the plugin for your requirements. 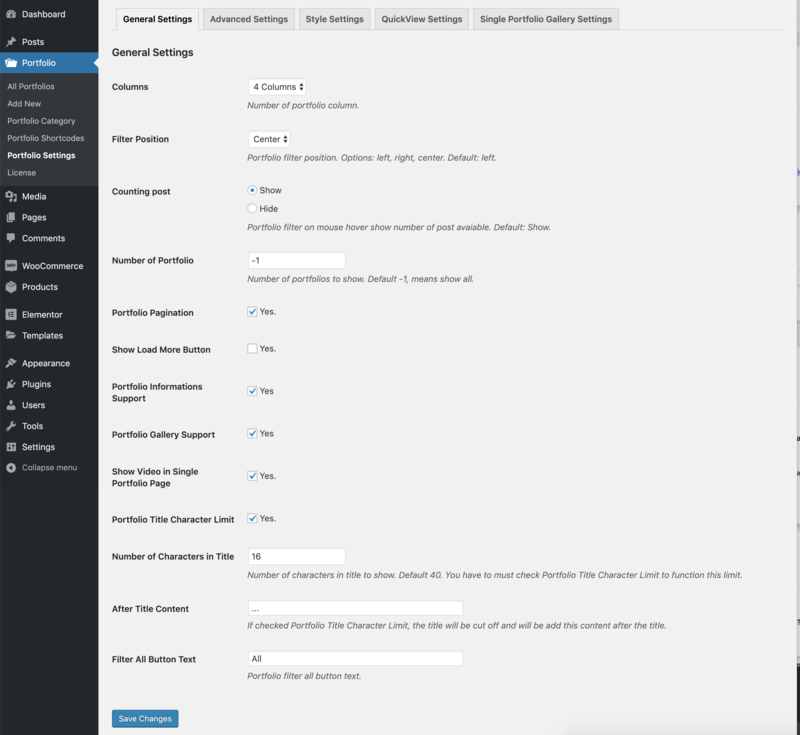 Read the settings option field description text carefully, all the options are described here.